Call Vital Building & Pest Inspections in Sydney Today! Fast Expert building & Pest Inspections in Sydney Call Today! Building and pest inspections, while not essential, are something you should seriously consider during the real estate buying and selling process. However, not every home owner or buyer elects to have this done. The consequences of skipping inspections pre-purchase and pre-listing can sometimes be severe, costing the new owner thousands of dollars in repairs and possibly causing problems for the seller down the line, depending on the terms of the sale and the home’s warranty. Read on for the essential factors you need to consider to decide whether this option is right for you. Having a pre-listing inspection done before you welcome prospective buyers to look at your home can alert you to any potential problems that may need to be addressed. Fixing any issues in advance can enable you to sell your home more quickly and at a better price. In the event that an inspection uncovers any major or minor defects, you may need to lower the price of your home below the level that you had initially anticipated for the sale. Issues with the property may also result in your home sitting on the market for a longer period of time. An inspection will give you a clearer picture of the true condition of the home, which can help you in trying to negotiate a better value. It can also help you avoid any surprises down the line that could require costly repairs. Knowing that the home is in good shape allows you to enjoy real peace of mind. A building and pest inspection typically costs a few hundred dollars, and this may seem like throwing money away if you end up not purchasing the home. However, isn’t it better to spend a little bit beforehand rather than getting stuck with thousands of dollars in repair bills down the line? 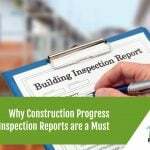 Choosing an inspector who will get the job done right is a critical part of the process. There is little point in hiring an inspector who will merely conduct a surface check of the property without going any deeper. It is much better to choose an inspector who will give the home his or her full attention to detail, evaluating not just the readily visible problems, but also their underlying root causes. Here at Vital Building and Pest Inspections, we come from a background in home repair and restoration, so we understand exactly what we are looking at, what could potentially be the cause of any problems, and how much work and money is likely to be involved in fixing them. We give each and every inspection our full attention and best efforts, because we truly care and value our customers. Isn’t that the kind of inspector you want on your side? For more information about our services, fill out our online contact form, or give us a call on 0401 012 074. We’re based in Sydney’s north-west & perform Building & Pest Inspections Sydney-wide.